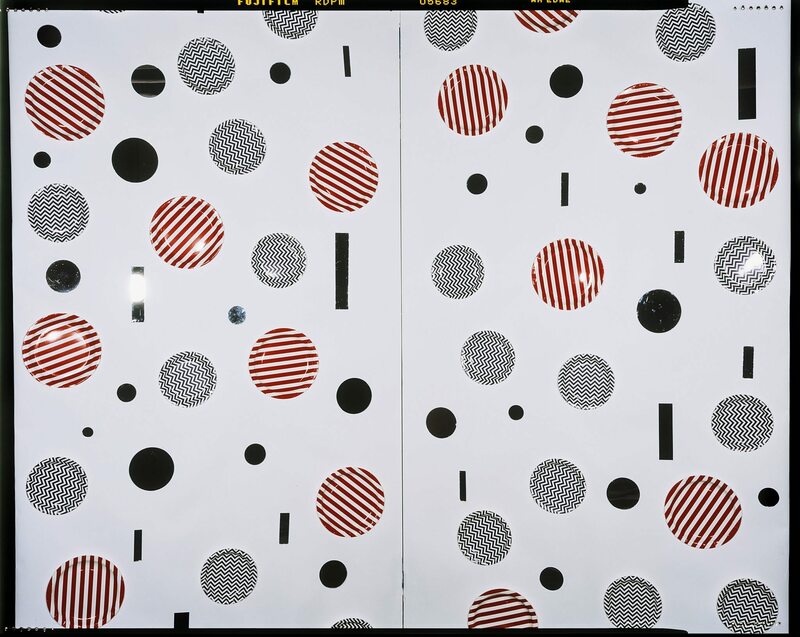 Image Credit: Jacky Redgate, Light Throw (Mirrors) Fold #10 of 10, (detail), 2014-15, chromogenic photograph, handprinted in 2 parts from original negative, 206 x 248cm. Image courtesy of the artist, ARC ONE Gallery, Melbourne and Kronenberg Wright Artist’s Projects, Sydney. Pre-eminent Australian artist Jacky Redgate has worked with mirrors for over two decades. In 2018, Latrobe Regional Gallery will showcase her Light Throw (Mirrors) Fold #1 ­–10 photographic series for the first time in its entirety, which she produced between 2014 and 2015. The work is part of her ongoing investigation of light and space, her photographs and sculptures are grounded in conceptualism and minimalism. In making this series Redgate uses a white symmetrical hinged panel that unfolds progressively outward to the camera lens, according to the Fibonacci sequence. As the panels open the black space on either side of the frame is incrementally decreased. 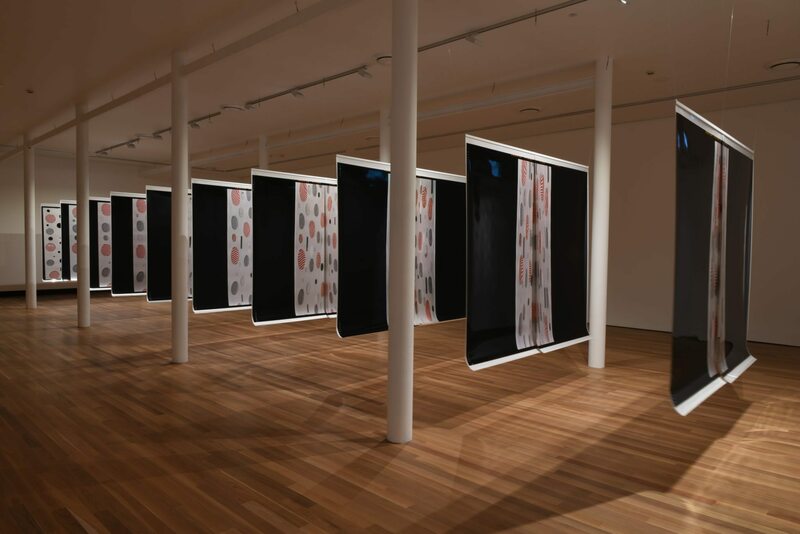 Ann Stephen has described the effect of the fully-open panels whereby, ‘the viewer is confronted by a razzle-dazzle riot of stripey red-and-white and blue-and-white zig-zag plates, suspended amid circular and rectangular recycled silver, bronze and black mirrors, variously gleaming or blacked out. Of the studio Redgate has commented: ‘the lights are jammed up against my stove … in my own domestic space, although this might not be immediately obvious. 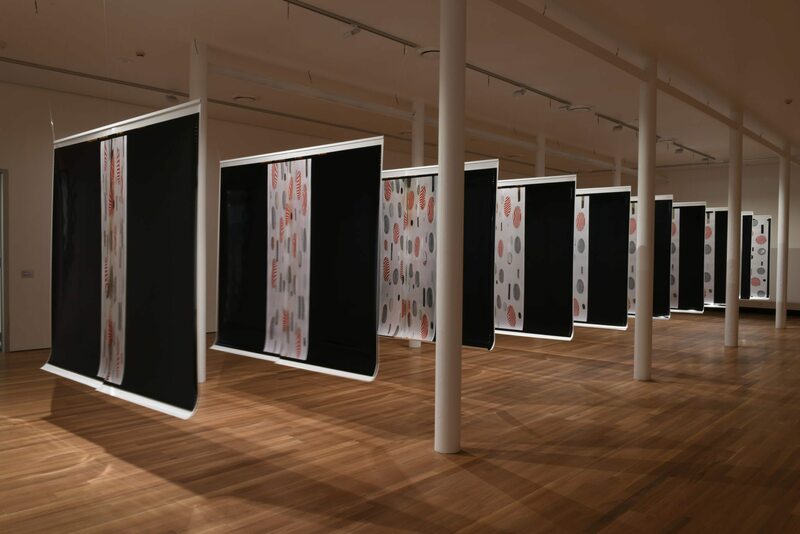 There are glimpses of my kitchen in the mirrors … although I attempted as much as possible to block it out’, and as Redgate explains she ­–the artist– is an ‘absent presence’ in the work. 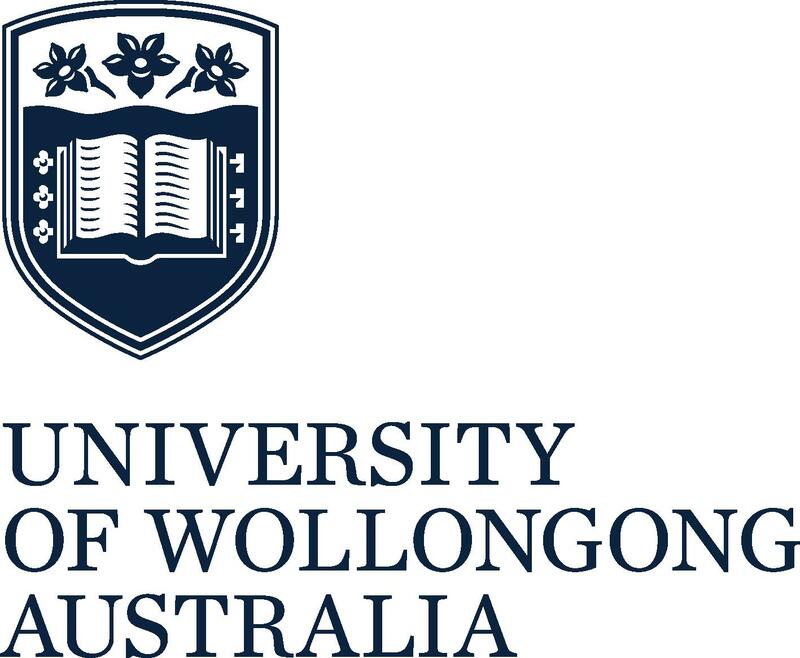 Thank you to the University of Wollongong for a Faculty Challenge Grant and a Conference, Exhibition and Performance Subsidy Grant.